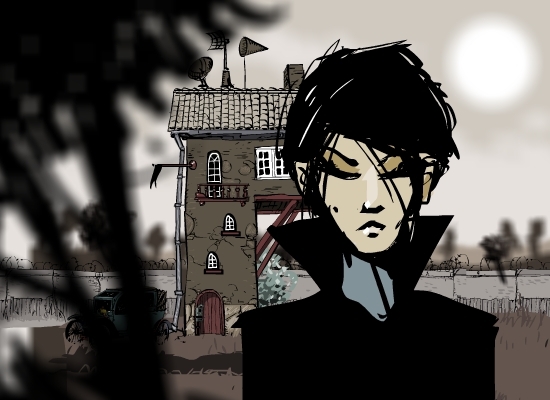 Covert Front is a point and click spy game, where you become an agent code-named Kara and investigate the disappearance of general Karl von Toten. The plot takes place in 1904 but in a different reality-line, where the first world war has already begun due to earlier technical revolution that took place in the mid 19th century. Story written by Karol Konwerski. Game is divided into four parts, all being chapters of the same story. Oh my god. Thats the coordinate device from the Loop! :OOOOOOOOO Whaaaaaaat. Whaaaaaaaaaaaaaaaaat. That kind of cliffhanger?!?!?? It kills me!! Mat, please. Don't leave me hanging here! I played these games years ago and never really payed much attention to them, I was a little young to understand the story, and I found myself frustrated when I couldn't figure out one of the puzzles. After playing it again I've really fallen in love with kara and her story. I'm sad that it came to an end, if there is any game you should re-continue, it would be this one. This series by far is one of your best. I can't believe these series ended. I love the character so much that I came back to play the games from time to time just to see her. She is so determined, decisive and brave; I like taking risks with her in her reckless adventure. Thank you, Mateusz! Thank you for visualizing such a unique female character that can not been seen anywhere else. I played back the intro in convert front 3 dozens of times just to admire her unusual presence - she looked out of the train window with martini by her side. I like the moment she was caught by surprise with widened eyes; the moment she narrowed them with contempt; even the moment she became aggressive...Kara, I want to see you again, in more series, more stories, more episodes and more espionage! Is this game confirmed to be canon in the Submachine universe/story?